Top Rated Algebra Tutors in San Francisco, CA! Welcome to San Francisco’s top-rated private algebra in-home tutoring service! All of the following San Francisco algebra tutors are certified by Varsity Tutors, the leading tutoring agency in the country! All San Francisco algebra tutors have been background checked, been interviewed, had mock algebra tutoring sessions, and been trained by professionals. 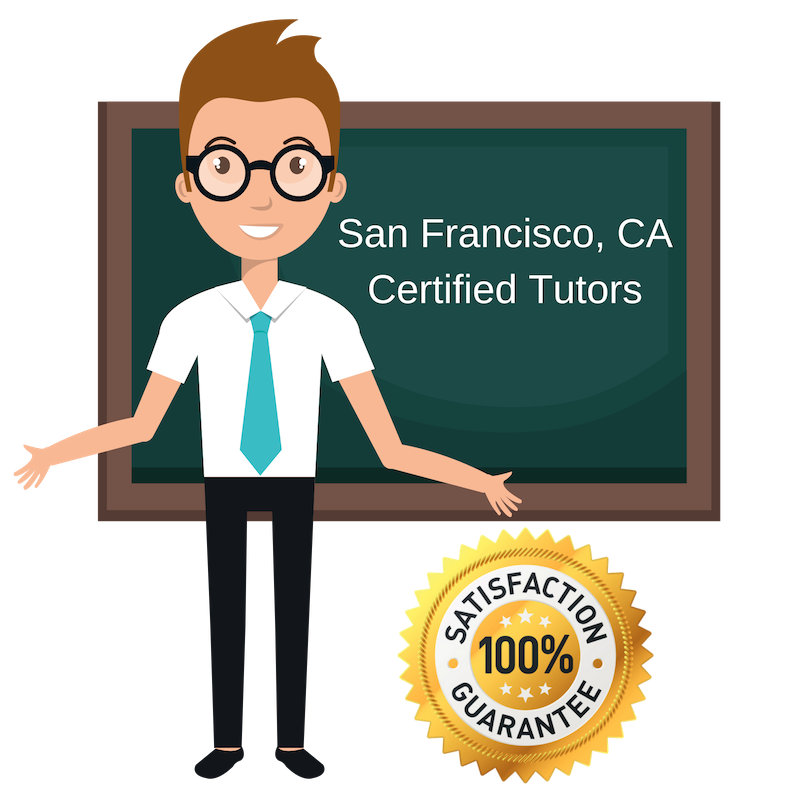 We guarantee you will love your local San Francisco algebra tutor or your money back! Get information regarding a top-rated algebra tutor today! Having graduated from Northwestern University in 2013, I am currently working in San Francisco, CA as a financial technology consultant and private tutor. At Northwestern, I studied economics, legal studies, and business institutions. Even before college, I always had a passion for math. Growing up with two younger siblings, I was constantly helping them with their homework and explaining topics to them that they didn’t really understand at school that day. This started my love for tutoring. Today, I am a tutor working with students on several topics and standardized test prep, although I specialize in algebra and other subjects in math. A current student at the University of San Francisco, I am available for tutoring assistance in algebra, biology, and more here in San Francisco, CA. In my own studies, I am currently pursuing the pre-medical track and a bachelor’s degree in biology with goals of attending medical school after graduation. I enjoy working as a tutor at the same time to help other students pursue their goals, keep myself sharp on core topics, and better understand how students learn. I have tutoring experience from my previous work as a peer tutor with the National Honors Society, where I tutored students in a number of topics ranging from math to writing. Since tutoring helps me to learn as well, I apply this back to my students and always have them teach concepts back to me during lessons to make sure they are following along. Currently living and working in San Francisco, CA as a private tutor, I am happy to help new students with a variety of subjects including algebra, foreign language, and more. I am a native speaker of both English and Mandarin Chinese and have bachelor’s degrees in both economics comparative area studies. I completed my undergraduate education at Duke University. In addition to traditional studies, I have also attended The French Culinary Institute for studies in pastry arts, which has given me familiarity with more involved, hands-on styles of teaching. I have just moved back to San Francisco, CA after spending five years working abroad in Shanghai, and look forward to working with motivated individuals in the area. I am a personal tutor with a passion for science and mathematics, currently working with students in San Francisco, CA on algebra, physics, and other similar subjects. My experience in tutoring includes private tutoring in math and physics as well as mathematics tutoring at the Math Lab at City College of San Francisco, CA. I have several years of personal experience studying math, physics, and applied engineering courses, and am very comfortable working through issues in these subjects with different types of learners. I am very flexible as a tutor and a teacher and am happy to show my students how to approach problems from different directions when I see that they might be struggling with traditional methods. Having just graduated from the University of Minnesota Twin Cities, I am now living and working in San Francisco, CA as a private tutor before my return to school in the coming months. Right now, I am available for help as a tutor in algebra, writing, and reading. I have a bachelor’s degree in management information systems and entrepreneurial management and have strong communication and writing skills. In terms of experience, I have worked as a teaching assistant at my university and have also worked as a martial arts instructor for two years, so I am comfortable guiding individuals through tasks and problems in a variety of settings.